Le Griffon is so peaceful and clean, we felt so at home here. We had a wonderful sleep in a great room. Staff are friendly and welcoming. It was a short visit but we will stay again...shediac is a great town. Clean property and welcoming staff. Facility is a bit dated, but is in good condition. Great budget hotel. Where to find Bouctouche hotels near an airport? 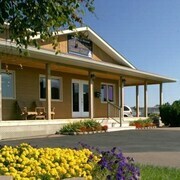 Where can I find hotels in Bouctouche that are near tourist attractions? 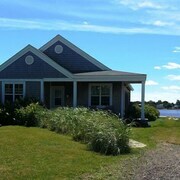 So, are you visiting Moncton and want to book accommodations in Bouctouche? Within a 0.1-kilometre (0.06-mile) distance of the city center, there are 2 Expedia-listed hotels and apartments. The Auberge Bouctouche Inn & Suites is a favourite accommodation choice because it's so close to Bouctouche's town center. You could also check out the Seely's Motel or the L'Auberge Gabrièle Inn. The Seely's Motel is situated 30 kilometres (20 miles) from the middle of Bouctouche. 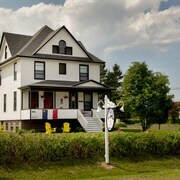 The L'Auberge Gabrièle Inn, is positioned 30 kilometres (19 miles) away. 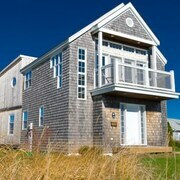 Other Expedia-registered hotels are the Lands End Beach Cottage and the Maison Tait House. 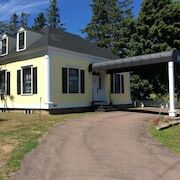 Shediac is 30 kilometres (19 miles) to the southeast of Bouctouche and is home to the Parlee Beach Provincial Park and South Cove Camping and Golf. 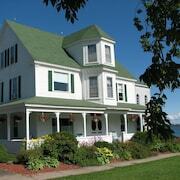 Shediac hotels and accommodations are the Auberge Inn Thyme and Hôtel Shediac. Alternatively, you could stay in Dieppe, 40 kilometres (26 miles) to the south of Bouctouche, where you can choose from the St. James Gate and Residence Inn by Marriott Moncton. If you stay in Dieppe, a couple of places to add to your itinerary are the Champlain Place Mall and Fox Creek Golf Club. If you are really into sports and like to watch local games you might decide to head to Moncton Coliseum, which is 45 kilometres (26 miles) to the south of Bouctouche. 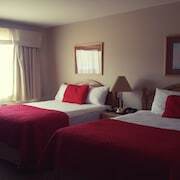 For visitors who are keen on sleeping close by, make a reservation in the Hampton Inn & Suites by Hilton Moncton or Four Points by Sheraton Moncton. If you are flying into or out of Greater Moncton International Airport and would like to stay nearby try Holiday Inn Express Hotel & Suites Airport Dieppe or Fairfield Inn & Suites Moncton. 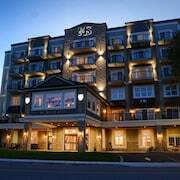 What are the most popular Bouctouche hotels? 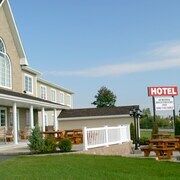 Are there hotels in other cities near Bouctouche? 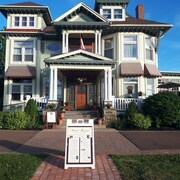 What other types of accommodations are available in Bouctouche? Explore Bouctouche with Expedia.ca’s Travel Guides to find the best flights, cars, holiday packages and more! Flights from Malaga to Pearson Intl. Flights from LaGuardia to Pearson Intl. Flights from Macdonald Cartier Intl. to Stanfield Intl.